Navigation Acts were a continuation of laws that restricted the use of foreign shipping for trade between England (after 1707, Great Britain) and its colonies. It is a process which had started in 1651. Their goal was to force colonial development into lines favorable to England, and stop direct colonial trade with the Netherlands, France, and other European countries. The original ordinance of 1651 was renewed at the Restoration by Acts of 1662, 1663, 1670, and 1673 subsequently subject to minor amendment. These Acts also formed the basis for British overseas trade for nearly 200 years. On the whole, the Acts of Trade and Navigation were obeyed, except for the Molasses Act of 1733, which led to extensive smuggling because no effective means of enforcement was provided until the 1750s. Irritation because of stricter enforcement under the Sugar Act of 1764 became one source of resentment by merchants in the American colonies against Great Britain. 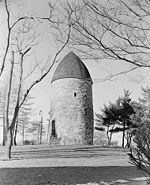 This in turn helped push the colonies to start the American Revolution. The major impetuses for the Navigation Acts were the ruinous deterioration of English trade in the aftermath of the Eighty Years’ War, and the concomitant lifting of the Spanish trade-embargoes on trade between the Spanish Empire and the Dutch Republic. The end of the embargoes in 1647 unleashed the full power of the Amsterdam Entrepôt and other Dutch competitive advantages in world trade. Within a few years, English merchants had practically been overwhelmed in the trade on the Iberian Peninsula, the Mediterranean and the Levant. 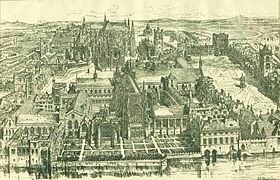 Even the trade with English colonies (partly still in the hands of the royalists, as the English Civil War was in its final stages and the Commonwealth of England had not yet imposed its authority throughout the English colonies) was “engrossed” by Dutch merchants. English direct trade was crowded out by a sudden influx of commodities from the Levant, Mediterranean and the Spanish and Portuguese empires, and the West Indies via the Dutch Entrepôt, carried in Dutch ships and for Dutch account. The obvious solution seemed to be to seal off the English and Scottish markets to these unwanted imports. The precedent was the Act the Greenland Company had obtained from Parliament in 1645 prohibiting the import of whale products into England, except in ships owned by that company. This principle was now generalised. In 1648 the Levant Company petitioned Parliament for the prohibition of imports of Turkish goods “…from Holland and other places but directly from the places of their growth.” Baltic traders added their voices to this chorus. In 1650 the Standing Council for Trade and the Council of State of the Commonwealth prepared a general policy designed to impede the flow of Mediterranean and colonial commodities via Holland and Zeeland into England. 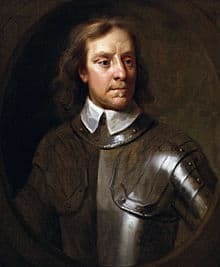 The Navigation Act bill was passed on 9 October 1651 by the Parliament of the Commonwealth of England led by Oliver Cromwell, reinforcing a longstanding principle of government policy that English trade should be carried in English vessels. It was a reaction to the failure of an English diplomatic mission to The Hague seeking a joining of the Commonwealth by the Republic of the Seven United Netherlands, after the States of Holland had made some cautious overtures to Cromwell to counter the monarchical aspirations of stadtholder William II of Orange. The stadtholder had suddenly died however and the States were now embarrassed by Cromwell taking the idea quite too seriously. The English proposed the joint conquest of all remaining Spanish and Portuguese possessions. England would take America and the Dutch Africa and Asia. As the Dutch, however, had just ended their war with Spain and already taken over most Portuguese colonies in Asia, they saw little advantage in this grandiose scheme and proposed a free trade agreement as an alternative to a full political union. This again was unacceptable to the British, who would be unable to compete on such a level playing field, and was seen by them as a deliberate affront. The Act banned foreign ships from transporting goods from outside Europe to England or its colonies and banned third-party countries’ ships from transporting goods from a country elsewhere in Europe to England. These rules specifically targeted the Dutch who controlled a large section of Europe’s international trade and even much of England’s coastal shipping. It excluded the Dutch from essentially all trade with England, as the Dutch’s economy was competitive with, not complementary to the English, and the two countries therefore exchanged few commodities. This Anglo-Dutch trade, however, constituted only a small fraction of total Dutch trade flows. The Act is often mentioned as a major cause of the First Anglo-Dutch War, though it was only part of a larger British policy to engage in war after the negotiations had failed. The English naval victories in 1653 (the Battle of Portland, the Battle of the Gabbard and the Battle of Scheveningen) showed the supremacy of the Commonwealth navy in home waters. However, farther afield the Dutch predominated and were able to close down English commerce in the Baltic and the Mediterranean. Both countries held each other in a stifling embrace. The Treaty of Westminster (1654) ended the impasse. The Dutch failed to have the Act repealed or amended, but it seems to have had relatively little influence on their trade. The Act offered England only limited solace. It could not limit the deterioration of England’s overseas trading position, except in the cases where England herself was the principal consumer, like the Canaries’ wine trade and the trade in Puglian olive oil. In the trade with the West Indies the Dutch kept up a flourishing “smuggling” trade, thanks to the preference of English planters for Dutch import goods and the better deal the Dutch offered in the sugar trade. The Dutch colony of New Netherlands offered a loophole (through intercolonial trade) wide enough to drive a shipload of Virginian tobacco through. The 1651 Act (like other legislation of the Commonwealth period) was declared void on The Restoration of Charles II, having been passed by ‘usurping powers’. Parliament therefore passed new legislation. This is generally referred to as the “Navigation Acts”, and (with some amendments) remained in force for nearly two centuries. The Navigation Act 1660 (passed on 13 September) added a twist to Oliver Cromwell’s act: ships’ crews had to be three-quarters English, and “enumerated” products not produced by the mother country, such as tobacco, cotton, and sugar were to be shipped from the colonies only to England or other English colonies. Ship captains were required to post a bond to ensure compliance and could recoup the funds upon arrival. The Navigation Act 1663 (also called the Act for the Encouragement of Trade, passed on 27 July) required all European goods bound for America (or other colonies) to be shipped through England first. In England, the goods would be unloaded, inspected, paid duties, approved, and finally reloaded. The trade had to be carried in English bottoms (i.e. vessels), which included those of its colonies. Furthermore, imports of ‘enumerated commodities’ (such as sugar, rice, and tobacco) had to be landed and pay tax before going on to other countries. This increased the cost to the colonies, and increased the shipping time. “England” here includes Wales, though it was little involved in trade to distant parts. After the Act of Union 1707, Scotland enjoyed the same privileges. This Act entitled colonial shipping and seamen to enjoy the full benefits of the exclusive provisions. There was no bar put in the way of colonists who might wish to trade in their own shipping with foreign plantations or European countries other than England, provided they did not violate the enumerated commodity clause. “English bottoms” included vessels built in English plantations (i.e. colonies), for example in America. Further Navigation Acts were passed in 1673 and 1696 to close a loophole and to strengthen enforcement, respectively. The Acts were in full force for a short time only. After the Second Anglo-Dutch War, which ended disastrously for England, the Dutch obtained the right to ship commodities produced in their German hinterland to England as if these were Dutch goods. Even more importantly, England conceded the principle of “free ship, free good” which provided freedom of molestation by the Royal Navy of Dutch shipping on the high seas, even in wars in which the Dutch Republic was neutral. This more or less gave the Dutch freedom to conduct their “smuggling” unhindered as long as they were not caught red-handed in territorial waters controlled by England. These provisions were reconfirmed in the Treaty of Westminster (1674) after the Third Anglo-Dutch War.